Check the news page for some very good Massonix news! Last edited by markus on 06 Dec 2006 14:46, edited 1 time in total. Great stuff, hope to hear the album before the concert, its always best if you can recognise the tunes. Superb stuff - been awaiting a Massonix album for a while now, and those mates of mine who attended ATP have all said that Graham should release it - about time! sounds great, new material from a member of 808 state is always welcome in my eyes! Ive never actually heard massey as massonix -didnt he only release one ep under that name? is it like LFO and such, or experimental like toolshed? There's a clip on YouTube of Massonix at the Skam event earlier on this year here. Apparently the album will be called Sub Tracks. ‘Pioneer’ and ‘originator’ are terms that are massively overused these days, in truth there are very few people who can truly lay claim to the term without exageration. Massonix is a project by Graham Massey (808 State), and he is one of those people. In the mid 1980s, while still recording with Biting Tongues (who recorded albums for Factory Records, amongst others), he started making music with Gerald Simpson and Martin Price under the name 808 state. There seems little point in going into great detail about the history of 808 State, the line up changes, the stadium gigs, the chart success, lets just take it for granted that you know about them already. He has been involved in production and remix work for artists such as Bjork, (who he has worked with on numerous occasions from the present day going back to her days with The Sugarcubes), Art of Noise, Yellow Magic Orchestra, Yes, Afrika Bambaataa, Primal Scream, UB40, The Future Sound of London, Robbie Williams (yes, that Robbie Williams), Gong, Blue Pearl, Goldfrapp, Frankie Goes to Hollywood, Quincy Jones, David Bowie, Rolf Harris, Souixsie and the Banshees, Bomb the Bass and the Stone Roses. Until now, other than a 12” released in 1990, most of the stunning music that Graham has composed as Massonix has been for occasional livesets here and there, including sets from The Shock City event that took place in Manchester cathedral in 1998, the Warp 10th birthday lighthouse party in 2000, and Autechres all Tomorrows Parties Festival in 2003. Much of the music on this nautically themed album comprises elements of rhythm and melody originally taken from these livesets, which have then been reworked and assembled into finished tracks. We could not be happier with the results. Last edited by nickking on 23 Feb 2010 00:11, edited 1 time in total. Wow, that week in November is going to me too much to handle, not only the Massonix album but a live gig as well and the re-issue of the Spooky album 'Gargantuan', I think I'm going to wet myself. Im getting more excited at this, especially after it being described as 'nautical themed'. Where can we hear it??? According to EAR/Rational Music, release date in the States is 5 December. I love the way the Massonix album was number 2 in their Top 10 Best Sellers for the past week Unless there was a massive amount of pre-orders of course. also their blurb is a cut up of skams press release that now makes no sense. 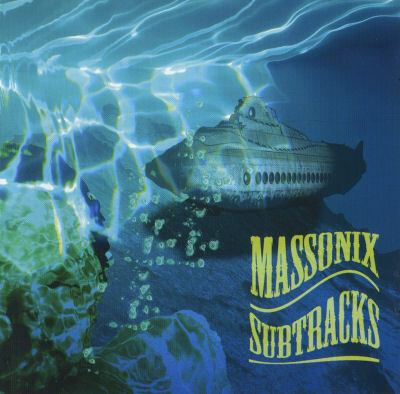 "Massonix is a project by UK producer extraordinaire Graham Massey, and this release is a collection of tracks spanning ten years of sub-aquatic electronic keyboard portraitures. "Pioneer" and "originator" are terms that are massively overused these days, and there are very few people who can truly lay claim to the term without exaggeration. Massonix is one of those people. In the mid-1980s, while still recording with Biting Tongues (who recorded albums for Factory Records, amongst others), he started making music with Gerald Simpson and Martin Price under the name 808 State. Much of the music on this nautically-themed album comprises elements of rhythm and melody originally taken from these live sets, which have then been reworked and assembled into finished tracks. The results will make you delirious." There's a Massonix track on Graham's myspace page at the moment, called 'sorry'.